This article describes how to import product files from ERPLY to your ShopRoller account. What are product files? They are the images, videos, documents, and more, which related to your product. Go to the section PRODUCT IMPORT. 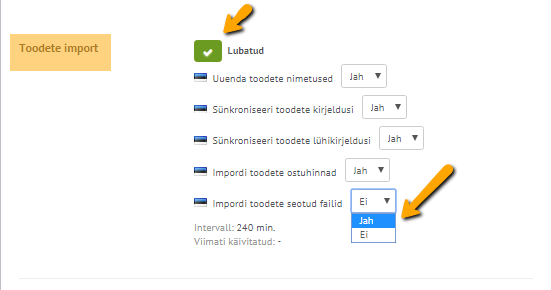 Ensure that the checkbox for this section is ENABLED. Scroll down to IMPORT PRODUCT FILES and select YES. You're done. Please allow some time for the synchronization to take effect.